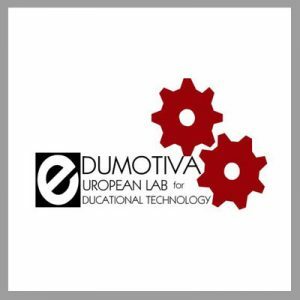 The European Lab for Educational Technology- EDUMOTIVA is a not for profit educational organization based in Sparta, Greece that brings together professionals active in the area of Educational Sciences and Learning Technologies. It counts 7 people as part-time staff and over 30 external collaborators (mainly teachers, certified trainers, researchers and instructional designers). Edumotiva’s aim is to offer students of all ages education and training that will improve their lives, influence their thinking, impact on the communities within they act. Edumotiva aims at making learning real, meaningful and relevant for the new generation of students and at supporting adults (including teachers) in developing 21st century skills through innovative training programmes for citizens of all ages. Edumotiva maintains close ties with primary, secondary and vocational schools, public institutions for adult education and various associations with a focus on culture, art, societal problems, volunteering. Through this network and through Edumotiva’s training scheme, access to learners of all ages is achieved. The key activities of Edumotiva are: research, instructional design, evaluation, education and training. The European Lab for Educational Technology – EDUMOTIVA brings together professionals active in the area of Educational Sciences and Learning Technologies. EDUMOTIVA’s aim is to offer learners of all ages education and training that will improve their lives, influence their thinking, impact on the communities within they act. EDUMOTIVA maintains close ties with primary, secondary, vocational and higher schools, public institutions for adult education and various associations with educational, cultural and societal focus. Through this network and through EDUMOTIVA’s training scheme, access to learners of all ages is ensured. Key activities include: educational research, instructional design, evaluation of learning interventions, education and training with a special focus on ICT in education.